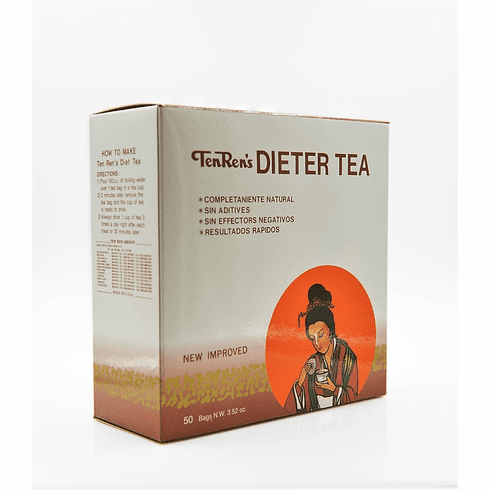 Ten Ren Dieter's Tea with 50 tea bags. This blend of herbs is caffeine free. Ingredients: Crataegus pinnatifida, Prunella Vulgaries Poria, Cocos wolff, Mint, Fructus Hordeia Gorminatus, Pogostemon Cablin, Phaseolus Angulais, Cassia Tora, Rhizoma Alismatis, and Raphanus Sativus. Dimensional shipping weight is 0.89 lb.